ESO Supernova Exhibition — Where can life exist on Earth? Where can life exist on Earth? To host life, an exoplanet doesn’t necessarily have to be exactly like Earth. Even under very harsh conditions, some forms of life are able to survive, as evidenced by terrestrial extremophiles. 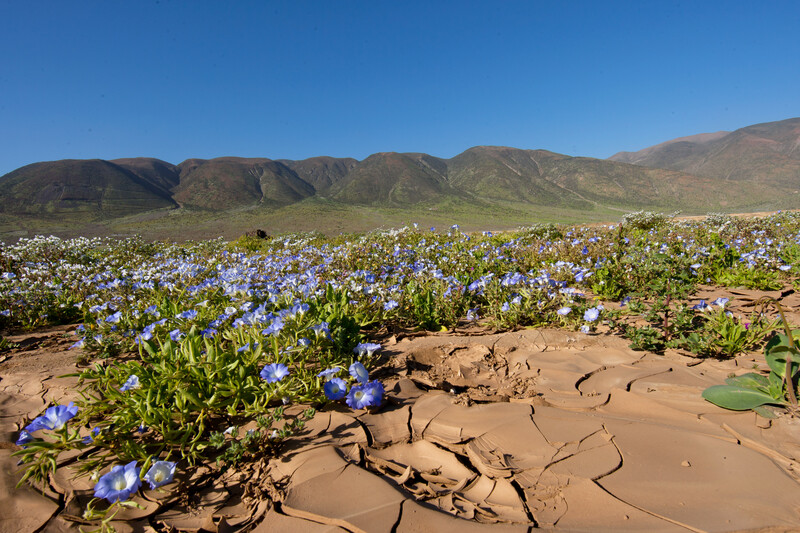 Survivor species: Even in extreme environments like the bone-dry Atacama Desert in Chile, some hardy organisms are able to survive. Beneath the ice: Despite the lack of sunlight, ice algae have been found under several metres of Antarctic sea ice. Many exoplanets look inhospitable to life – they are very cold or very hot, or they lack water or a breathable atmosphere. But that does not necessarily mean they are lifeless. After all, some lifeforms found on Earth, known as extremophiles, survive under the most extreme conditions: at the bottom of the ocean, high up in the atmosphere, under thick layers of polar ice, in acidic hot pools, and even in the Earth’s crust. Apparently, life can quite easily exist in harsh environments. Who knows what kind of organisms might thrive on exoplanets? In the hot tub: The Morning Glory hot spring in Yellowstone National Park is home to a rare species of acid-loving, heat- resistant bacteria. Sunless life: Life ourishes around hydrothermal vents at the bottom of the ocean, where sunlight cannot penetrate. Amazon abundance: The colours on this map denote the number of vertebrate species on Earth. Biodiversity is largest in the Amazon jungle (red). On Earth, life exists in some very strange places. Some bacteria can even survive without sunlight or water. So there’s no reason why life couldn’t exist on exoplanets that look horrible at first sight.